Sir Edward Coke remains one of the most important figures in the history of the common law. 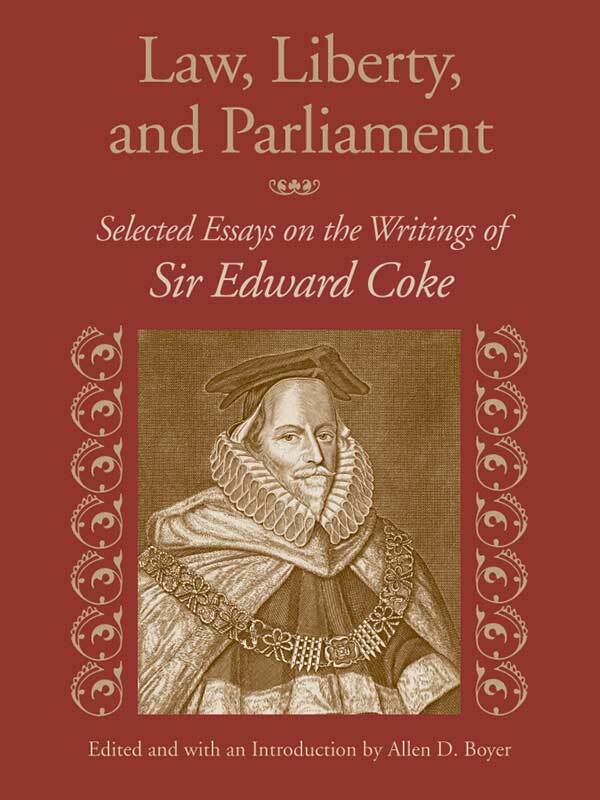 The essays collected in this volume provide a broad context for understanding and appreciating the scope of Coke’s achievement: his theory of law, his work as a lawyer and a judge, his role in pioneering judicial review, his leadership of the Commons, and his place in the broader culture of Elizabethan and Jacobean England. Sir Edward Coke claimed for judges the power to strike down statutes, created the modern common law by reshaping medieval precedents, and, in the House of Commons, led the gathering forces that would ultimately establish a constitutional regime of ordered liberty and responsible, representative government. Although much has been written on Coke, there has been no single adequate study or collection of these writings until now. Law, Liberty, and Parliament brings together material that not only is useful for understanding Coke’s career and achievement but also illuminates the late Elizabethan and early Stuart periods in which the common law became inextricably identified with constitutional authority. Allen D. Boyer, author of Sir Edward Coke and the Elizabethan Age, is a lawyer in New York City and a frequent contributor to the New York Times Book Review. Dr. Boyer serves on the advisory board of the Yale Center for Parliamentary History.